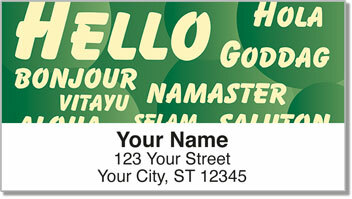 This multi-cultural set of return address labels from CheckAdvantage features many different tongues from around the world. 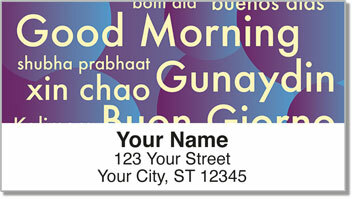 Each of the four vibrant designs features just one word or phrase in a variety of languages. 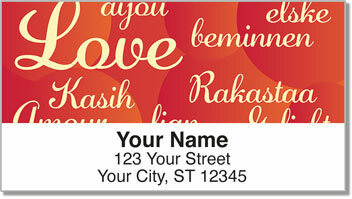 Use them to send love and greetings to everyone on your mailing list. Of course, a great big smile is completely understood no matter what country you come from. And a happy face is exactly what you'll have when you start using these convenient labels instead of scribbling your name and address on letters and packages. That's because all you have to do is peel and place them on every envelope thanks to the self-adhesive backing! 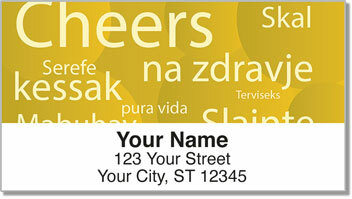 Order your own Foreign Language Address Labels today! This selection is also available in matching personal checks.